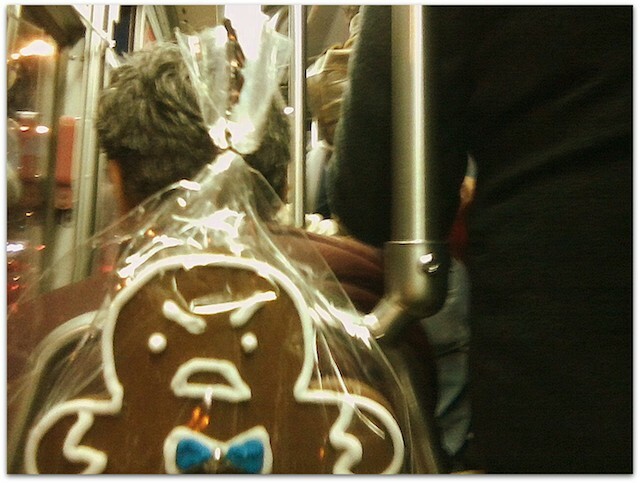 Look, just because you’re in a hurry and have “things to do” doesn’t mean you get to bump and push tiny gingerbread men on the bus, okay? From the looks of the situation above, this guy is the only one who has the right to be pissed. He’s risking life and limb, you guys! 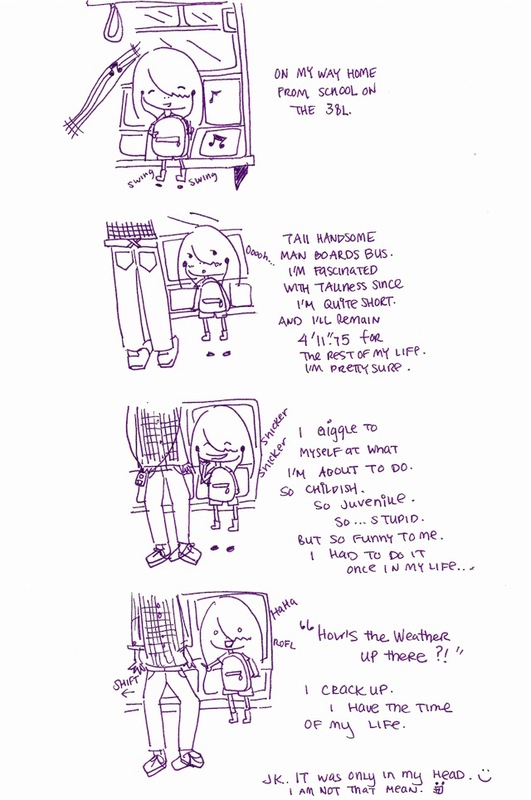 Muni rider Judy penned this adorable little illustrated story. Sometimes, the best LOL is a self-LOL, especially on an at-times not-LOLular (commute hour, anyone?) 38-Geary. Okay, not really. That’s a misleading headline. On purpose. But this bit of amazing landed in our submissions box recently, and had me smiling ear-to-ear. So I was headed home on an inboud 38L yesterday that was *extremely* crowded. As I made my way to the back I saw an open single seat and made my way over. Curiously, no one was willing to sit in it. On closer inspection I saw just *why* no one was grabbing such a coveted seat. At first I thought that someone had somehow left a tiny turd but on a better look, I saw that it was nothing more than a squashed grape. Ah, for the want of a napkin…. What happened on your commute today? Share it with your fellow riders! 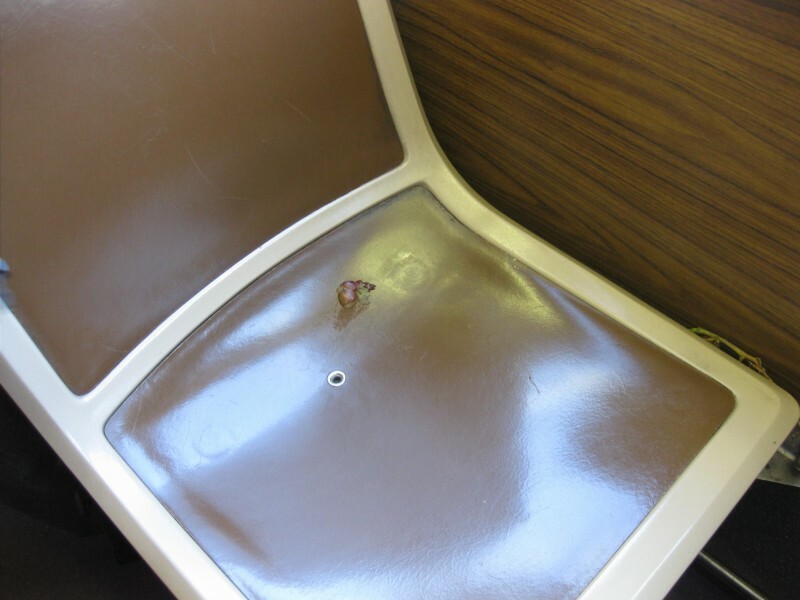 This week on Muni, most of the biggest moments involve eating. But not necessarily involving food. 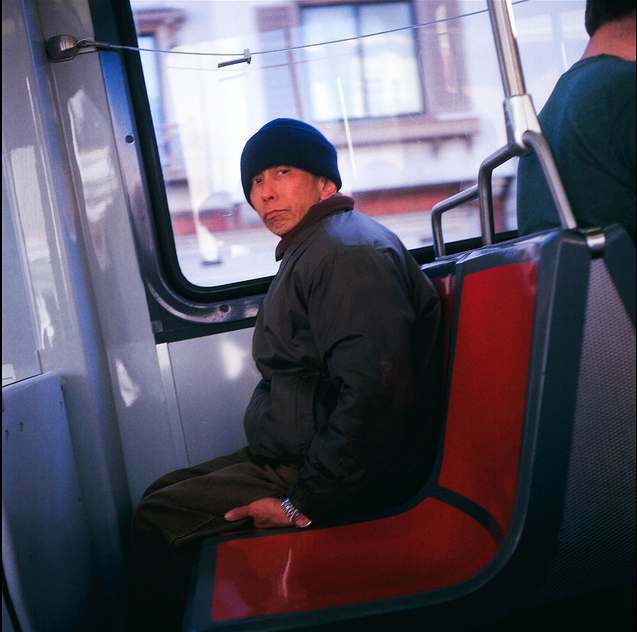 Here are your five best, laugh-out-loud Muni moments of the week. This week we find out that Murphy’s Law dictates maximum embarrassment when you are caught without your fare. Here are your top five big Muni moments of the week! 3. Rider Matt smelled durian on the 29 and hoped that the owner of this tropical treat will share the wealth. We think Matt might be the only one wishing for durian on the bus, though. 5. 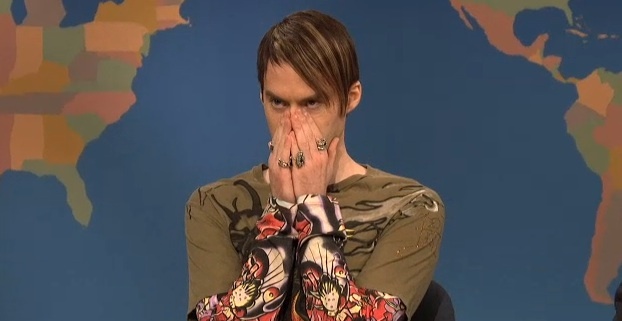 There’s no shame worse than not paying your fare and being escorted off by Muni Police in front of all the babes. Lesson learned. 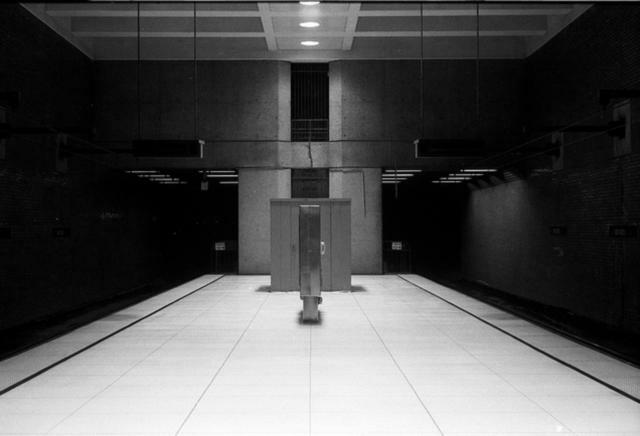 This week’s Muni moments feature @jawanzadbl, @sallypinata, @medium_matt, @xxriabellaxx, and @laurent4508. Got your own Muni moment? Tweet it to us at @munidiaries!